While the world watched the historic inter-Korean summit on Friday, the business community in Seoul showed guarded optimism, serving as a reminder of lingering geopolitical challenges and sanctions, amid the envisioning of potential infrastructure projects across the border. The leaders of the two Koreas agreed, among other pledges, to resume the discontinued work of reviving a trans-Korea railway and land routes, connecting Seoul and Shineuiju and also the east and west coasts of the peninsula. South Korean President Moon Jae-in and North Korean leader Kim Jong-un said they would take necessary steps to modernize cross-border transport infrastructure. The agreement and talk of the trans-Korea railway raised hopes for reviving joint projects including large-scale construction for opening airways and land routes, and an economic special zone. But South Korean businesses and experts mostly remained calm over the prospects of the two Koreas’ economic cooperation, citing measures in step with economic sanctions on Pyongyang by the United Nations, the US and South Korea. Unlike the two previous summits, the South Korean business community also kept its role low-key, with the head of the Korea Chamber of Commerce and Industry Park Yong-maan being the sole business representative invited to the state dinner. Business leaders including the Samsung and Hyundai chairmen were among presidential delegates at the two summits held in Pyongyang in 2000 and 2007, seeking inter-Korean business exchanges on a civilian level. Under the UN’s resolution, the import of petroleum products to North Korea has been limited to 500,000 barrels a year, while banning Pyongyang’s exports of mineral resources and seafood. The sanctions also include banning the employment of North Korean workers and any joint ventures with North Korean businesses, out of concerns over funds flowing into the development of nuclear missiles. Seoul has also imposed financial sanctions on elite figures in the North and banned the entry of North Korean boats to South Korean waters in retaliation against Pyongyang’s torpedo attack that sank the South Korean Navy ship Cheonan in 2010. Despite the remaining geopolitical uncertainty, some painted a rosy picture of future inter-Korean business ties, amid the North Korean leader’s surprise drive to revive the country’s economy in exchange for ditching its nuclear ambition. President Moon in Berlin last year expressed hopes to resume joint infrastructure building ventures. From linking the two Koreas via inter-Korean railways to gas pipes delivering natural gas from Russia, joint projects could physically connect the economies of the Koreas to Europe and Asia, and bring new business opportunities, he said. Hyundai Group, the sole South Korean investor in North Korea, expressed expectations over resuming its business there, but denied news reports that the company has already mobilized an emergency council to prepare for any changes from its counterparts in Pyongyang. 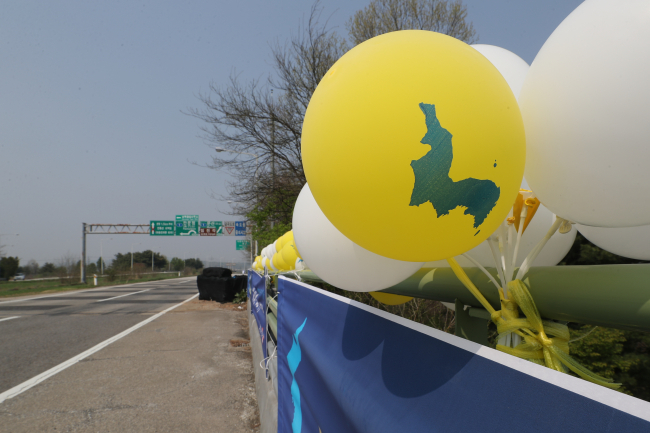 Hyundai’s project was widely seen as a contributor to inter-Korean relations with its operation of Kumgangsan tours, but it suspended its operations a decade ago after a fatal shooting that killed a South Korean tourist there. 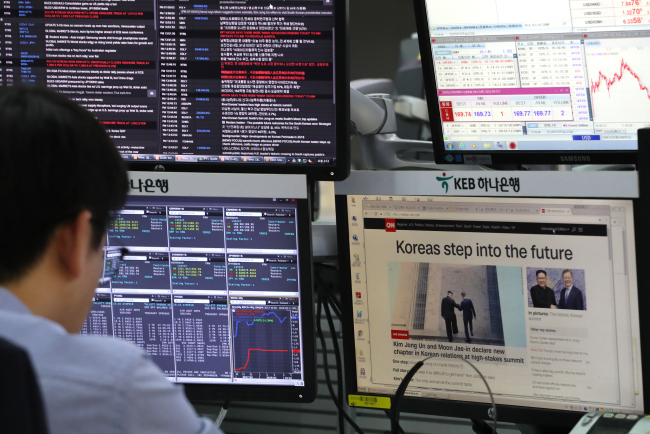 Other conglomerates also welcomed the summit, saying that they hoped the historic talks between the Koreas would serve as a catalyst to strengthen the fundamentals of economies and reduce external fears over the volatility of the Korean market. Meanwhile, small and medium-sized companies that invested in the Kaesong industrial park urged the government to take a careful approach, referring to the shutdown of the joint venture that caused substantial losses to their businesses. “Although economic cooperation was not selected among the agenda items for the summit talks this time, I wish to remain optimistic,” said Shin Han-yong, head of a private task force that speaks for all 123 South Korean firms that had operated factories in Kaesong. Talking to reporters at the association, Shin added that Kaesong is designed to be ready for the resumption of operation within two months. The industrial park opened in 2004 as a representative symbol of economic cooperation using South Korean capital and technology and North Korean labor. The park was closed in February 2016 in response to the North’s fourth nuclear test and long-range rocket launch. The companies estimate the losses caused by the closure to be 1.5 trillion won ($1.4 billion), and the government at 786 billion won.